Thank you Easy83, I am trying to make the art more complex but still readable. I'm thinking maybe the star field might be making it harder to read. I look at Jack Kirby and he could have total chaos on the page and it's clear and readable so I'm shooting for that. 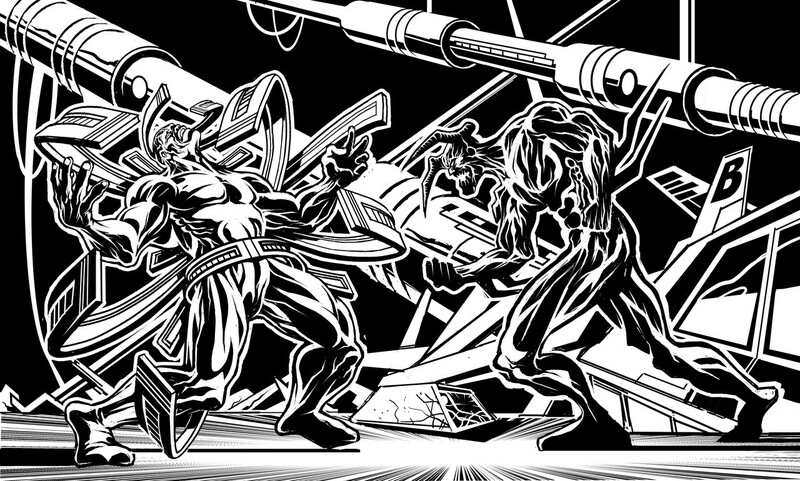 Nice work on that Bad Guy vs Worst Guy dude - I like the anatomy and posing. As others have said, readability is a bit difficult on that one, I agree that if you had not included the star field, that would've helped. Revised, removed stars and robot in background to hopefully increase readability. Yeah, that's a lot more readable mate, nice work . 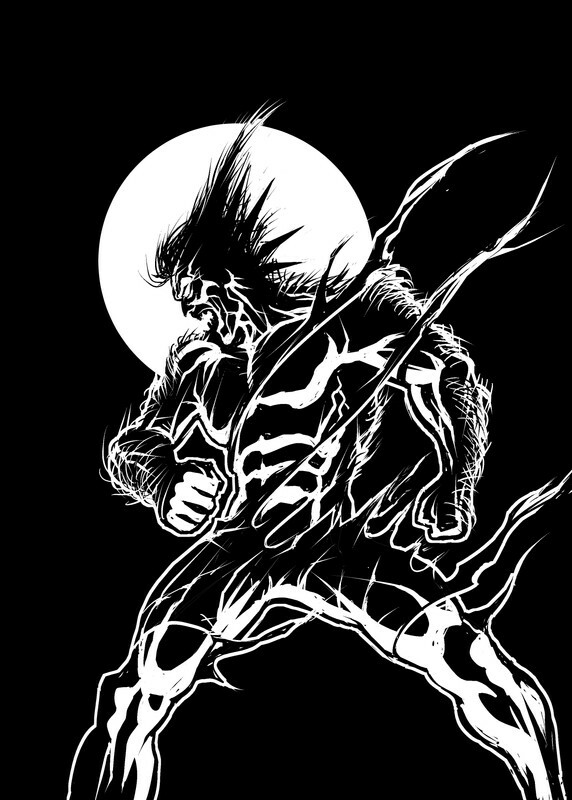 the Wolfman, part of an upcoming series by me, created in clip studio. The anatomy is nice and I'm loving the light on dark approach to your work dude. Batman v ninja, created in clip studio. Nice work again mate. I like the light vs dark design here. Lol, that ninja has an Ultron-like head. Thanks Atloader, I tend to draw most characters seperately lately and then I have figure out how to fit them on a single page. 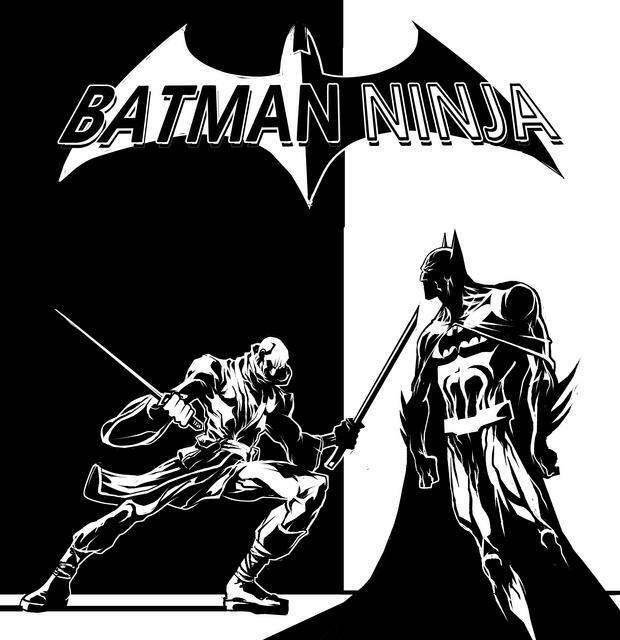 Batman looked better with a white background while the ninja looked better on a black background. Ideally the page would have been 2 equal sides.